McDonald's of Kansas City got more than it bargained for after its TV spot ignited a social-media storm in which the fast-food chain--or at least the boy featured in its TV ad--was blamed for a Kansas City Royals' nine-game losing streak. In an effort to align more with local promotions and events this season, McDonald's of Kansas City teamed with Bernstein-Rein and the Kansas City Royals for a “McDouble” promotion that offers $1 McDouble Sandwiches the day after the Royals execute a double play. BR developed the concept after noticing that the Royals had a high number of double plays during the 2016 season. However, things did not go according to plan. 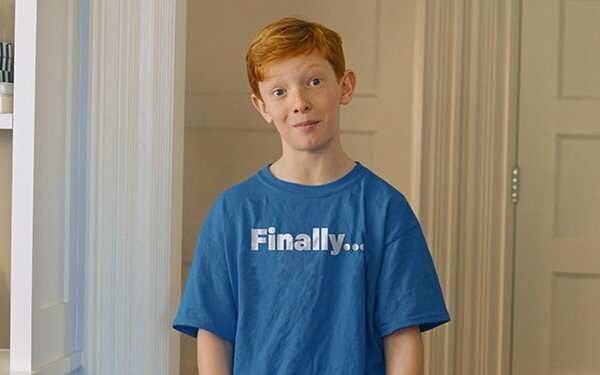 The company announced the promotion via a TV spot featuring a young boy named Bobby who wears his lucky Royals shirt and suggest he wants to again eat at McDonald's in order to not "mess with a streak." As every baseball fan knows, rituals and superstitions are powerful forces. Bobby’s proclamation “you don’t mess with a streak” in the commercial ignited a slow building Twitter storm as the Royals went on a nine-game losing streak. Fans took to Twitter calling for Bobby to change his shirt and end the losing streak. The KC McDonald’s local Twitter handle took hold of the conversation with a tweet acknowledging “I need a new Royals shirt, the one I have isn’t working – Bobby.” The Tweet mentioned well-known Kansas City sportswear supplier Charlie Hustle Co., Rally House KC and Normal Human. McDonald's KC's Twitter account currently exceeds 10,000 followers, making the account one of the most followed local McDonald’s co-op Twitter handles in the country. "We continue to enjoy the social dialogue around Bobby and his shirt, and we are confident a long winning streak is on the horizon," says Randy Bates, marketing director, McDonald’s USA.